Lipover reducer transitions a hardwood floor to a lower hard surface floor. The durable finish coordinates with the QEP by Amorim Burnished Straw Plank Cork Flooring. Molding is made of solid wood with a coordinating stain (no pattern). This moulding is proudly crafted in the U.S.A. from wood grown and responsibly harvested in the U.S.A. Carpet reducer is used for transitions between carpet and hard-surface flooring. The durable finish coordinates with our QEP by Amorim Natural Hickory Wide Plank Printed Cork Flooring. Molding is made of solid wood with coordinating stain (no pattern). 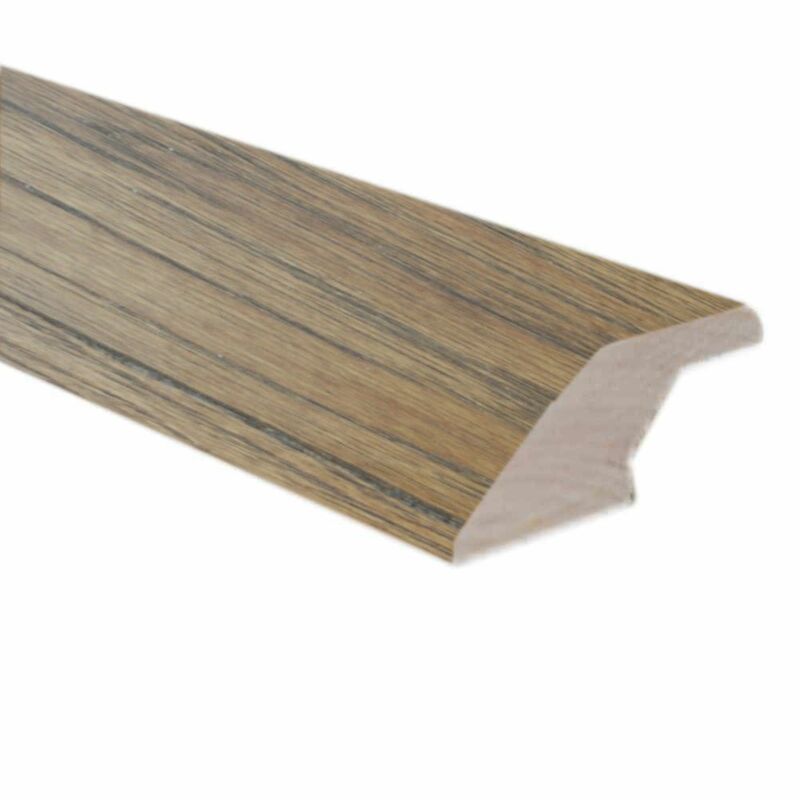 This moulding is proudly crafted in the U.S.A. from wood grown and responsibly harvested in the U.S.A.
Quarter round is used to cover expansion space at wall base and other vertical surfaces. The durable finish coordinates with our QEP by Amorim Exotic Cherry Wide Plank Printed Cork Flooring. Molding is made of solid wood with coordinating stain (no pattern). This moulding is proudly crafted in the U.S.A. from wood grown and responsibly harvested in the U.S.A.
T-moulding seamlessly bridges the gap between two floors of equal heights. The durable finish coordinates with the QEP by Amorim Natural Exotic Cherry Wide Plank Printed Cork Flooring. Molding is made of solid wood with a coordinating stain (no pattern). This moulding is proudly crafted in the U.S.A. from wood grown and responsibly harvested in the U.S.A.
T-moulding seamlessly bridges the gap between two floors of equal heights. The durable finish coordinates with the QEP by Amorim Natural Red Oak Wide Plank Printed Cork Flooring. Molding is made of solid wood with a coordinating stain (no pattern). This moulding is proudly crafted in the U.S.A. from wood grown and responsibly harvested in the U.S.A.
78-inch Lipover Reducer Matches Burnished Straw Cork Lipover reducer transitions a hardwood floor to a lower hard surface floor. The durable finish coordinates with the QEP by Amorim Burnished Straw Plank Cork Flooring. Molding is made of solid wood with a coordinating stain (no pattern). This moulding is proudly crafted in the U.S.A. from wood grown and responsibly harvested in the U.S.A.